On October 1 last year, Mehtab Alam Ansari, 30, who worked as a tailor in Delhi, had arrived in his village, Chepa Khurd in Barkagaon tehsil of Harazibagh district, to celebrate Eid with his family. That morning, he was nearing Dadi Kalan, a neighbouring village, to meet an acquaintance when he heard gunshots near the chowk. 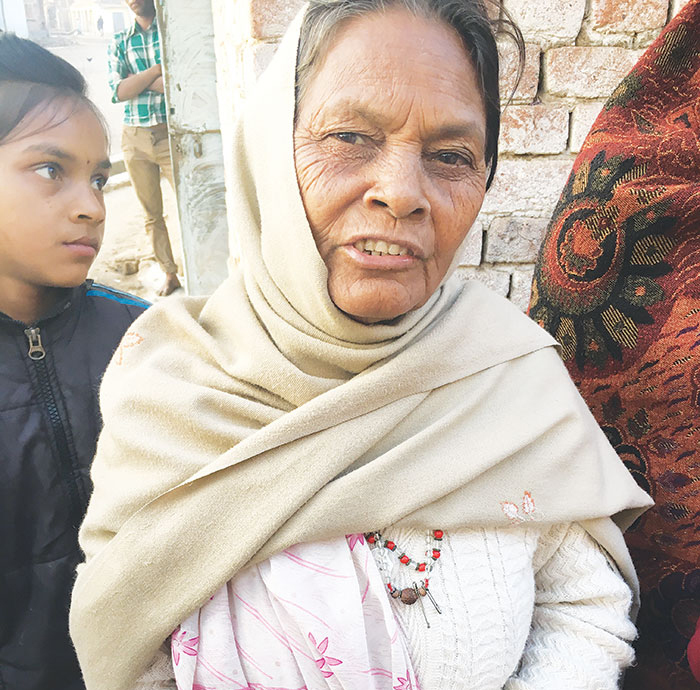 Mehtab Alam turned around to run, but was hit by a bullet and died on the spot. Besides Mehtab Alam, three others were killed in the firing: Ranjan Kumar Das, 17, of Sindhwari village; Abhishek Roy, 19, of Sonvarsha village; and Pawan Kumar, 17, also of Sonvarsha. Several others were injured in the police firing. These villages are among the 25 villages in the region that have been resisting the acquisition of land for coal-mining. 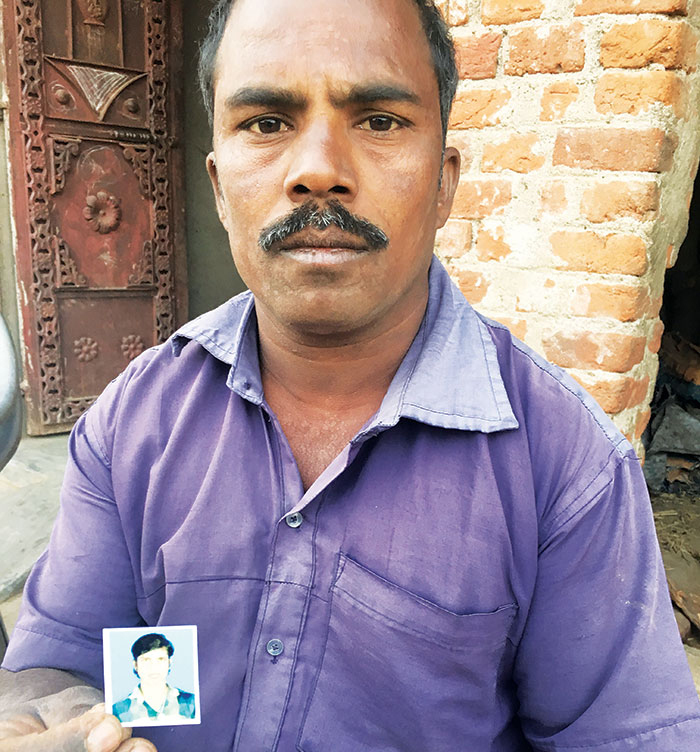 “I’ve already lost my brother, but if they want to take our land, they should kill all of us and then take it,” his brother Madiyan Ansari, 35, says. “Na rahenge hum, na zameen mangengey! (If we are not there, we won’t ask for the land).” Alam is survived by his wife Shakila Khatoon, a daughter, and two sons. The National Thermal Power Corporation (NTPC), a PSU that has been awarded coal rights in the region, is one of India’s major players in power production. Most of its plants (19 out of 36 wholly-owned units) are coal-fuelled. 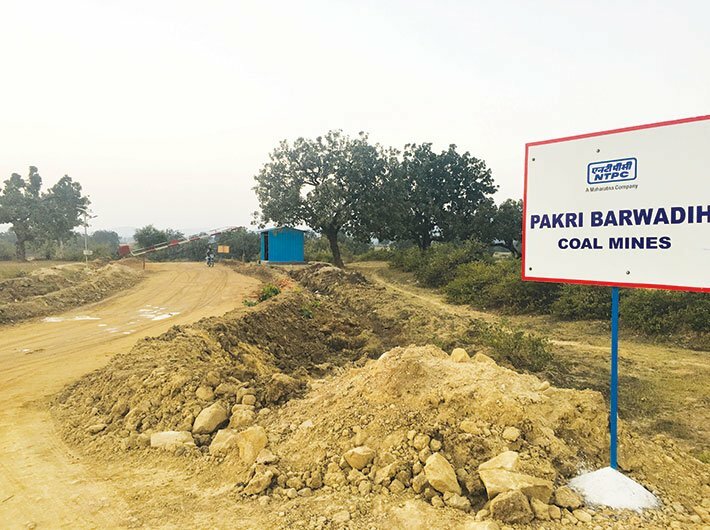 The Barkagaon region, in the Karanpura valley, southwest of Hazaribagh town, abounds in coal, and NTPC wants it to fuel the North Karanpura Thermal Power Station, which is coming up in Tandwa, in the neighbouring Chatra district. NTPC has assigned the mining to Thriveni Sainik Pvt Ltd, a joint venture of Thriveni Earthmovers and Sainik Mining. The region – known as the Pakri-Barwadih coal block – is expected to yield some 15 million tonnes of coal every year. Witnesses say that as news of the arrest spread, a group of villagers gathered and tried to stop the vehicle in which she was being taken away. The crowd tried to free her from custody. There was a lathi charge, and then police firing. Several rounds were indiscriminately fired, and those who died were not part of the dharna: in fact, villagers point out, three of them were teenagers. They say the police wasn’t firing to disperse the crowd but to kill. Many others have left. Locals said three villages had almost emptied in the days after the firing as police and paramilitary personnel were on the prowl, beating up men, women and children. It was nearly 13 years ago, in 2004, that NTPC was awarded captive coal-blocks in Pakri-Barwadih, Chatti Bariatu and Keredari to supply the power plant planned in Chatra. Villagers have been resisting since then, but by 2010, NTPC had already acquired around 4,000 acres, mostly forest land. The fight is over the remaining 4,000 acres. The legislation under which the land is being taken away is the Coal Bearing Areas (Acquisition and Development) Act, 1957, which does not offer any safeguards to those who lose their land. The Right to Fair Compensation and Transparency in Land Acquisition, Rehabilitation and Resettlement Act came into effect in September 2013, but the villagers aren’t protected by it because there are exemptions for PSUs under 13 central laws. There is also exemption from obtaining 70 percent consent or conducting a social impact assessment. This leaves the villagers helpless. 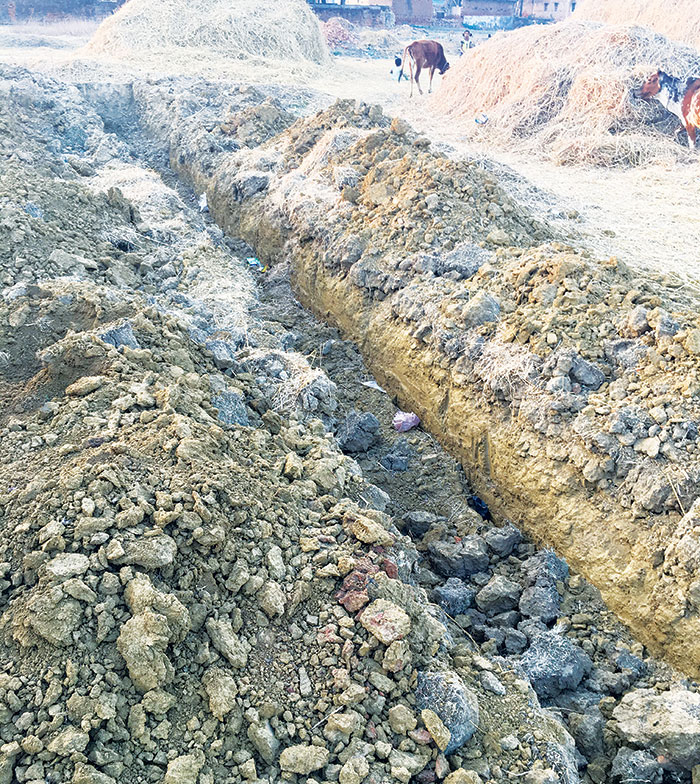 In the face of this iniquitous imposition, villagers have held a koyla satyagraha and suggested that, as owners of the land, they be given the right to extract coal, making the mining project a peoples’ ownership project, with royalty paid to the government. Of course, no one is listening. Instead, Thriveni Sainik Mining is employing the ages-old tactic of pitting the villagers against their own. Some 800 local youths have been hired – there’s no joining letter, but they are paid Rs 8,000-15,000 monthly – to keep an eye on villagers. The villagers speak of them as dalals. This reporter, too, was tailed and could speak to one of them, who said his name was Mohammed Rafique Ansari. “I get about Rs 15,000 monthly, there is no guarantee in this job, though,” he says. “I’m working for the company because I have no option. At least they are paying me for a while.” He also says he’s aware that once the villages are cleared of people and coal extraction begins, he will be jobless. Much of the 4,000 acres NTPC has already taken over for mining, as mentioned above, is forested land. Mithilesh Dangi, a homoeopath who also runs the Azadi Bachao Andolan, an activist group, speaks of how procedure been bypassed even for this. "NTPC is taking over land by desecrating the law," he says. Consent, he says, has not been obtained from gram sabhas but from forest committees of villages. "The forest committee works to protect forest, it does not have the right to transfer forest land." He also lists the sequence of events: the allotment of blocks was in 2004, and NTPC claims that the land was transferred by the forest committees in 2010. "Then why," he asks, "did NTPC have to wait till 2016 to begin mining?" Dangi then handed out copies of some of these "Sahmati Patra" (consent letters) from "Gram Van Prabandhan Avam Sanrakshan Samitis". "In all of them, the format and the wording is the same," he points out. "Consent letters from villages that are far apart--such as Sonvarsha and Sidhwari--follow the same pattern. Look at how the animals are listed: first gilahri (squirrel), then kharghosh (rabbit), then siyar (jackal), and last saanp (snake). Not one village has mentioned other animals or mentioned them in another order! It's probably a format handed out by NTPC. There was no actual consent taken, and anyway this is from the forest committee, not the gram sabha." He then shows us fauna of the region as listed by the government's forest department. It far exceeds the few named on the consent letters. "Either the forest department is lying or the consent letter from the forest committee is lying," he says. "This is how a public sector company cheats people and violates the law without fear of being caught." Uma Devi was planning to sow potatoes in her field, but one December morning she found large trenches dug by "the company"
She is speaking of NTPC and Thriveni Sainik Mining. Farmers like her are almost giving up hope, afraid that such harassment will eventually drive them out. Though their land sits on rich deposits of coal, the surface is fertile and the villages here are well-known for vegetable cultivation. They supply most of the vegetables consumed in the Harazibagh and Dhanbad districts. That may soon be a thing of the past. The villagers have held out so far. But they live in fear. Police and paramilitary patrol the region, and villagers are afraid of being beaten up. With their fields being dug up, and the violence and firing that has happened, they are afraid that one day they will lose their land. They seem convinced that the government will do nothing for them. Such exploitation seems to be the norm on the road to development, and those who resist it are being seen as agents of anti-development. When the government – and a PSU which is run by the central government – chose to muscle out resistance, it is not difficult to imagine how corporates, once they get the green signal, will deal with people like Uma Devi and the Ansaris.